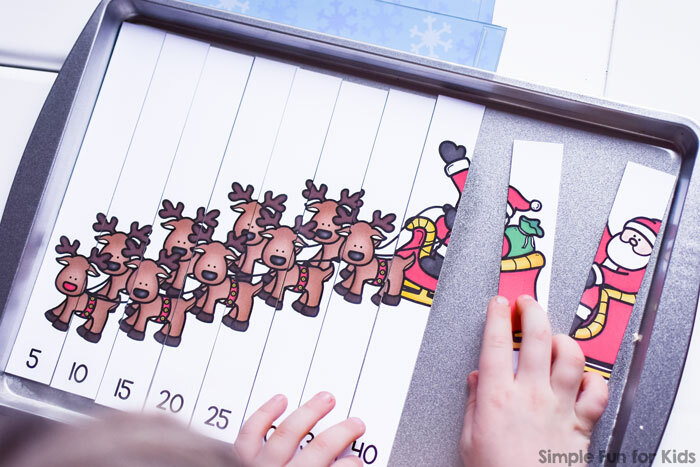 Lest you think that I’m only sharing Christmas printables for toddlers right now, I’ve got a Santa and his Reindeer Skip Counting by 5s Puzzle for you that I made for 6-year-old E.
If skip counting by 10s is easy, but 5s can still be confusing for your kindergartener, this printable activity is perfect for reinforcing the sequence while having fun with a cute Christmassy 10-piece line-up puzzle. Laminator and one laminating pouch. Optional if you use heavy paper to print on. The pdf file contains one page. Print it out, laminate it, and cut the puzzle apart at the black lines. Have your kids put the puzzle together while paying attention to the numbers at the bottom of each piece. 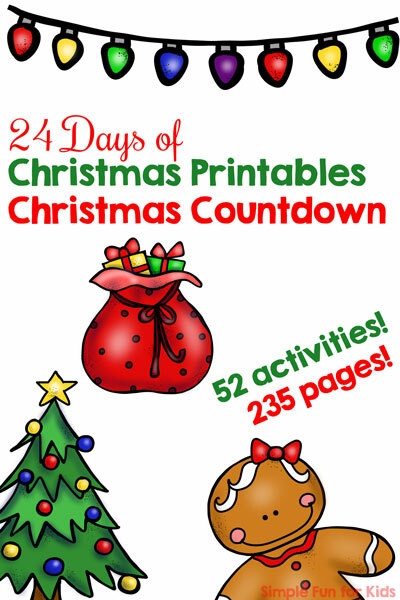 When the puzzle is complete, they can read the sequence of numbers and recite the following numbers as well if able. 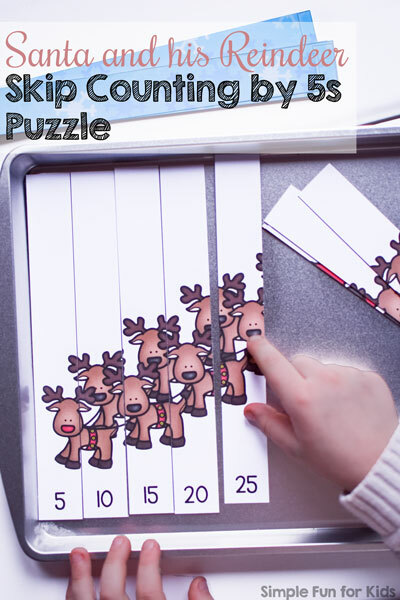 Download your Santa and his Reindeer Skip Counting by 5s Puzzle!